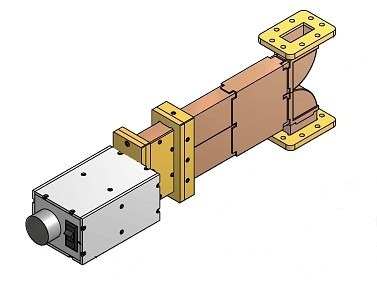 ATM type 410 Waveguide Phase Shifters utilize hybrid design, making it ideal for high power and low loss. The phase shift is approximately linear with dial rotation, but not frequency. 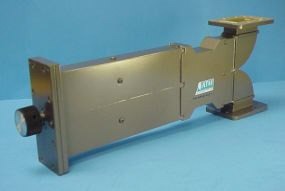 These models have 0-360 deg min phase shift over the operating frequency range and are precisely adjustable and re-settable. The standard models are supplied with digital counting dials so models can be calibrated at a spot frequency or re-set to a desired point. For Direct Reading Models add DRE to the P/N. These units are supplied with electronic digital dials calibrated in degrees at the center frequency. Please call us and discuss your needs with one of our design engineers. * The Standard Model Numbers above are the most common parts ordered for size, material and flange. However, these models can easily be altered for your needs by using the Model # code system to the left.